Love Oklahoma? Get more stories delivered right to your email. Fall is my favorite time of the year in the Sooner State – it’s full of vibrant colors, gorgeous weather, breathtaking scenery and pumpkin spice lattes. There’s no better time than now to get out and see the pop of fall colors in the most beautiful places around the state. 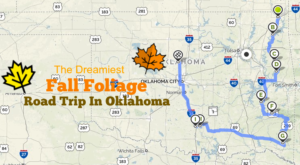 For the ultimate fall foliage road trip in Oklahoma, check out this Google map and follow along as I show you Oklahoma like you’ve never seen it before. 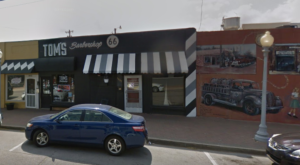 This gorgeous Oklahoma road trip is 434 miles long and will take about 8-9 hours without stops. It’s the perfect weekend road trip! 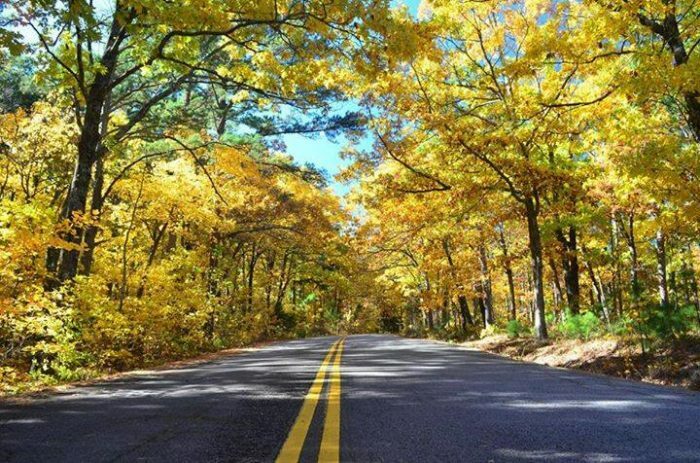 Start your fall foliage road trip in northeastern Oklahoma in the quaint town of Tahlequah. This area of the state is known as Green Country but when fall arrives, the gorgeous lush green turns to crisp golds, reds and oranges. The drive around Lake Tenkiller is full of rolling hills and it's a favorite lake of Oklahomans. 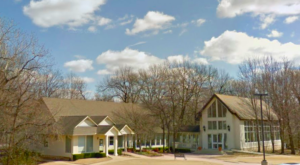 You can drive around the lake and check out the area or continue onto the next destination. 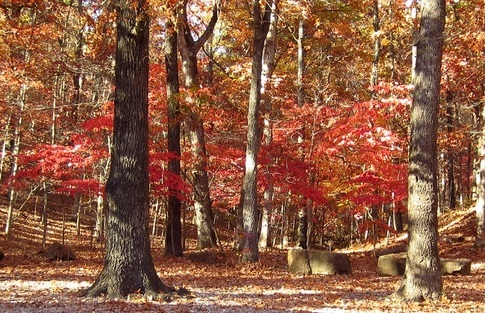 Robber's Cave State Park houses the stunning San Bois Mountain Range - a range full of scenic bluffs, rich fall colors and an abundance of outdoor activities. If you feel like getting out to explore, check out the caves or take an easy hike up the mountain. 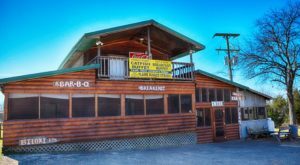 On your route from Robber's Cave State Park to the next destination, you'll travel along Highway 63. 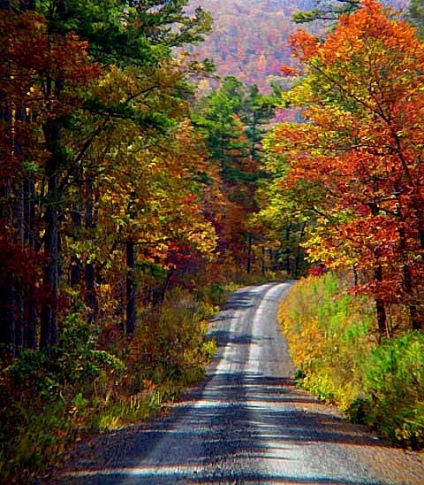 It's a spectacular drive in the fall that is full of magical scenery. 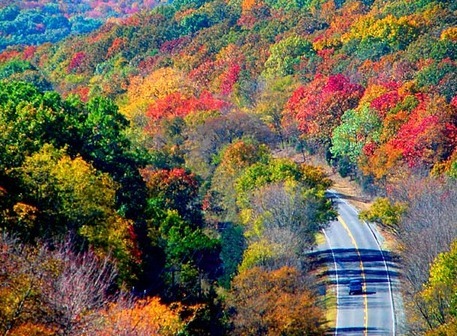 You can even turn off on side roads and take a detour to see some fall foliage up close. 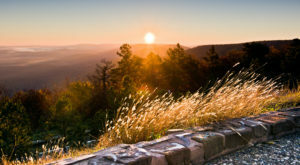 Probably the most spectacular part of this road trip is the Talimena National Scenic Byway - a 54-mile route that winds you throughout the Ouachita National Forest. Make sure to have your camera ready for this drive and look for the turnouts to stop and capture the incredible views. 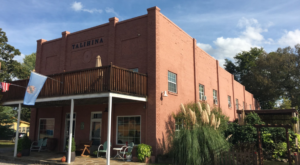 There are many activities to do along the Talimena Drive. 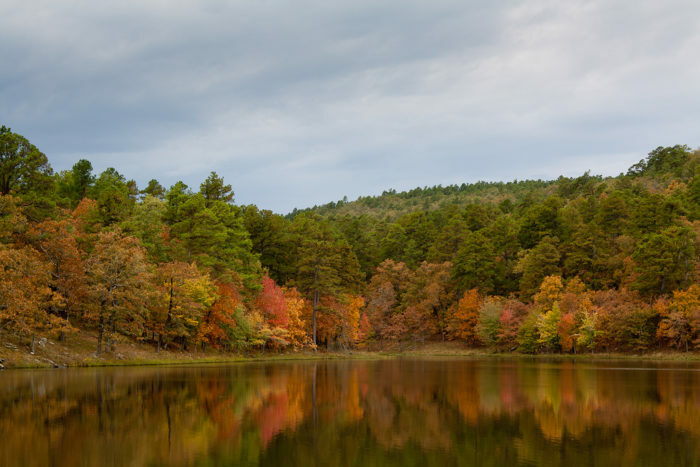 From hiking to horseback riding to fishing, fall is the perfect season to enjoy the great outdoors in the Sooner State. Another spectacular destination on this road trip is Clayton Lake State Park. 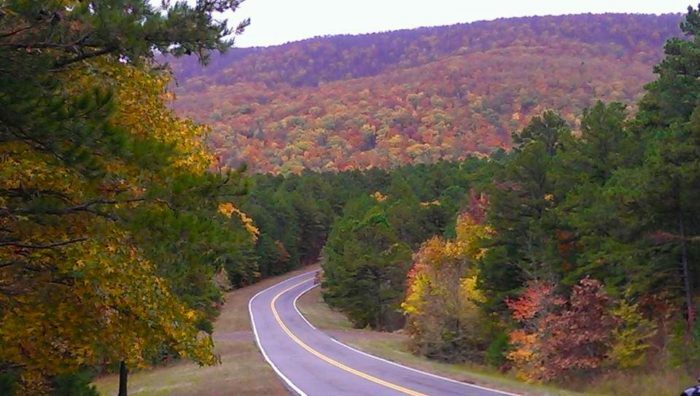 Here you'll view the rich colors of the Kiamichi Mountains. 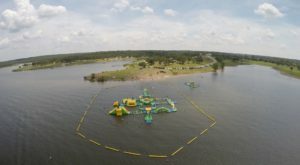 The park is over 500 acres, including the 80-acre Clayton Lake. 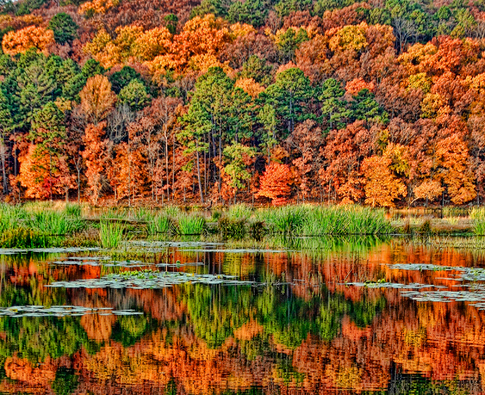 The bright fall colors reflecting off the lake are out-of-this-world! 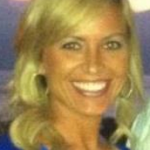 Next, you'll head south to Beavers Bend State Park, one of the most beautiful places in the state. 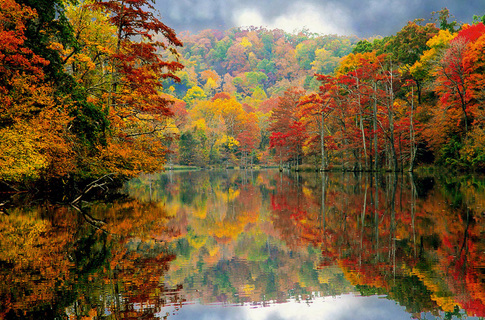 This magical place is full of areas to view the bold colors of fall. 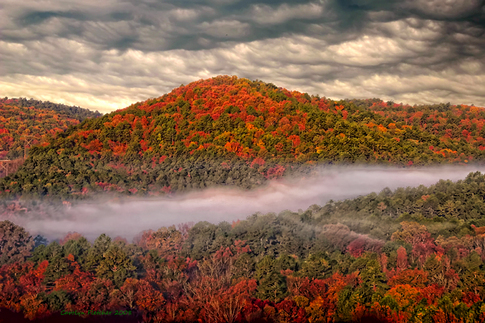 The best time to view the fall hues is October and November. Can you even believe this is in Oklahoma? Who knew it could feel so magical in the Sooner State? Your next stop will take you into the town of Sulphur - home to the Chickasaw National Recreation Area. 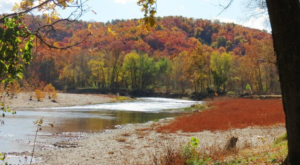 Known as the "Oasis in the Prairie," this area is full of waterfalls, streams, lakes and with the added colors the fall, the area looks breathtaking. 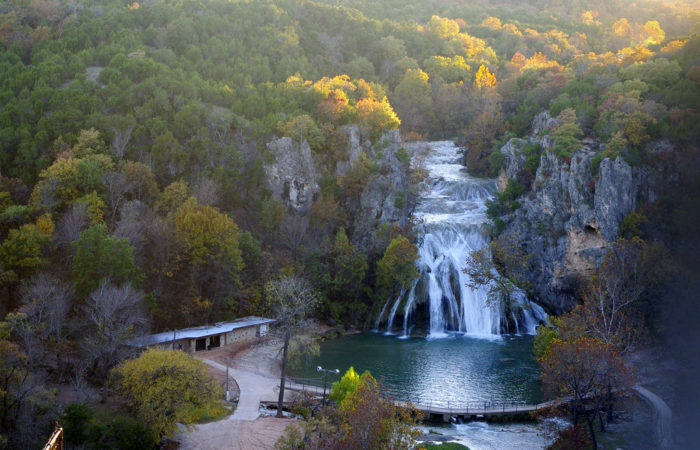 The last stop on this fall foliage road trip will land you in the mesmerizing Arbuckle Mountains, home to Turner Falls in Davis. The 77-ft. waterfall will be surrounded by spectacular fall colors and is a must-see this time of year. 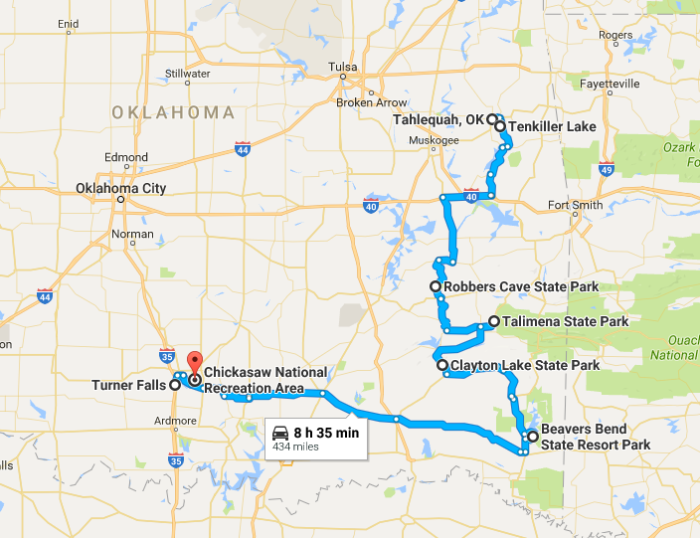 Does that not look like the most spectacular road trip in Oklahoma? If you take the trip, remember to send us pictures! 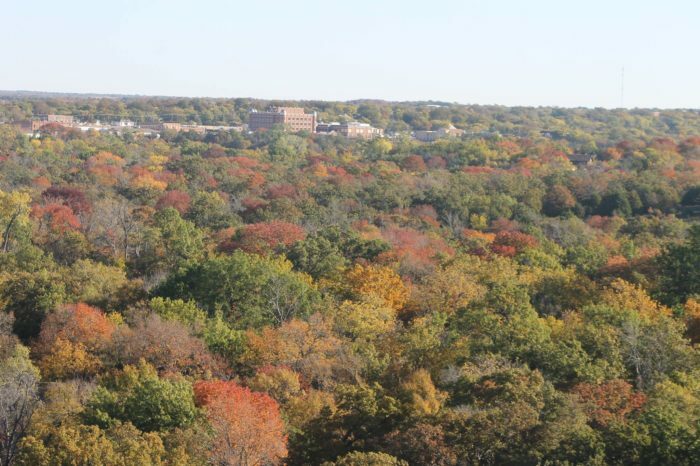 For more places to see fall foliage in Oklahoma, check out The Fall Foliage At These 8 State Parks.